Nowadays video editing software is the most common software we are using. In the articles, we going to show you best video editor for PC. So, if you find the best free video editing software then must check out. Video editor software is one of the most needful software. Stunning video content can really help you to boost your productivity. Like Instagram stories, Facebook, YouTube product, the best video editing software will make your brand professional. A number of developer companies make this software and they do a great job. If you find the professional video editing software free download, then you are in the right place. Here, I covered 5 best video editor for pc. 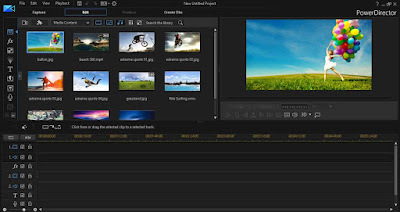 Our top 5 list most stunning video editing software, I could find in the web. The articles give you an overview and also help you to find your needful software. Our articles are divided into the PC software for pc. The following list is for the best free video editing software for PC or Desktop. The desktop application basically more powerful than a mobile application. So, to edit a video, need the better specification build desktop. When you edit long video like YouTube video then might use this desktop software. Most of the video editing software is free for a trial period and want to use full version then you need to purchase it. But the open source software may free to download and use. Blender, one of the best free and open source video editing software, is available on Windows, Linux, and Mac OS. Blender is actually designed for 3D animation suite, but it does come with a very useful and powerful video editor program. Blender software should be enough for beginner to advance video needs. The editor allows you to perform basic actions like video cut, trim, splicing etc. It also carries more complex task on a video like a video masking. This make's Blender a very massive and great video editor and caters to both beginner and advanced users. Live preview, luma waveform, chroma, and histogram displays. Audio mixing, scrubbing, syncing, and waveform visualization. Up to 32 slots for adding video, images, audio, and transition effects. Speed control, layer adjustment, transitions, keyframes, filters, and many more. Pros: Blender video editing software is pretty amazing and perfect for advance or professional user. Cons: Blender is actually focussed on the 3D animation or modeling side. So, it is special for the 3D video. So, it is very minimal for the basic video editor. Shotcut is the best free video editing software and is available for Windows, Mac, and Linux. Like Blender, Shotcut is also a fully open source program. So, after downloading the software you get to access the full feature of this program without any premium subscription. The UI (user interface) is pretty simple and easy to use. Dark and light theme option is also available in Shotcut. There is a great tutorial collection of Shotcut on YouTube. So, you can learn very easily. The software has a number of great features and very easy to use. You get all the basic tool like cut, give transition effect and many more. Shotcut also supports 4K HD resolution for video editing. You do not get this feature another free software. Overall the application is pretty simple and easy to use and I suggest for the beginner to use this software. Support the latest video, audio format and popular image format such as BMP, JPEG, GIF, PNG, SVG, TGA, TIFF etc. Shotcut doesn't require import media - supported native timeline editing. Support webcam and audio capture. Get Audio filters: Balance, Bass & Treble, Band Pass, Compressor etc. Speed effect for audio/video clips, Reverse a clip and many more. Pros: The best feature is the 4K editing, if you finding free 4K editor then must use Shotcut another best feature is native timeline editing. Cons: little bit quirky interface. Lightworks is another best free video editing software and it is available for Windows, Linux, and MacOS. Lightworks is one of the most powerful video editors on the list. Most of the useful features are available in the software. There are available a paid version which is $25 per month, and a free version also. In the free version, you can use all the basic tool, but want to use Boris and Graffiti FX package then you must purchase the license. The user interface is pretty much simple and all the tools are easily accessible directly from the timeline. A huge set of the tutorial video is available and cover almost everything for a new user. Pros: Too powerful video editing software with many advanced features. Cons: Does not support Boris FX and the 4K editing in the free version. 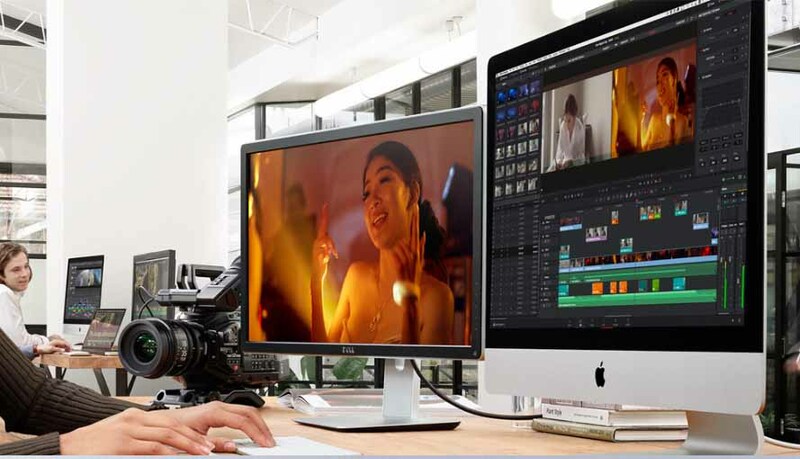 DaVinci Resolve 15 is a free and open source program and it is available for Windows, Mac, and Linux. 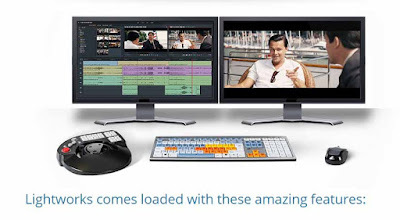 Blackmagic design the DaVinci Resolve 15 is most probably the best professional software in the list. 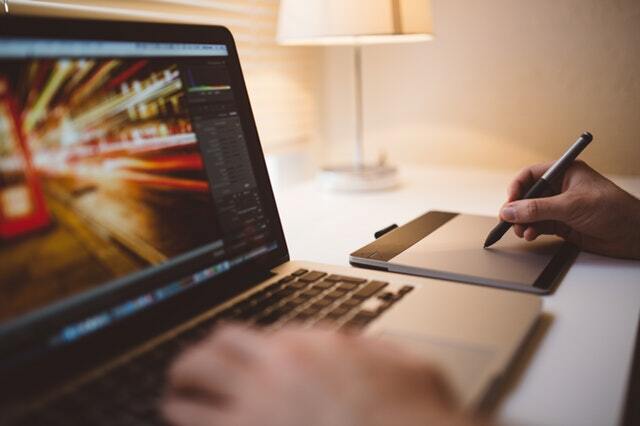 In the free version, a number of features are accessible like revolutionary tools for editing, visual effects, motion graphics, and color correction. Also has an amazing feature is 2D or 3D titles. 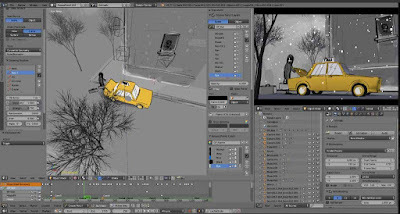 You can Create amazing animated titles with 2D and 3D like Hollywood movies. 3D particles is another great feature in this software. You can turn any object into 3D particles, and it looks really nice. A number of powerful tools are available in the DaVinci Resolve like color correction and noise removal tools. So, if you find a powerful and professional video editor then must use DaVinci Resolve 15. Use multiple timelines also can quickly copy, paste and edit between them. Easily add professional designed Fusion 2D and 3D titles. DaVinci Resolve Studio has spatial noise reduction tools. Pros: All the tool is the most powerful like incredible color correction, 2D or 3D titles and particles and noise reduction. Cons: All the available tutorial is not free. Cyberlink PowerDirector is a great video editing software that I personally use. It is not free software but you can get a 30 days free trial period. If you are a beginner and want to edit video like a pro then you can purches it. Because you get a lot of option to edit video and the interface of this editor is too simple and very easy to use. So if you are a YouTuber or want to upload a video on YouTube also this type of platform then this video editor is best for you. You can edit 2D or the 3D video very easily. The timeline is very easy to use like copy, paste, trim, cut and many more. Get huge beautiful transaction effect in online on their site. Pros: All the tool is very powerful and very easy to use. you can get unlimited free effects like pip effect, transition effect, title and many more. Cons: The software is not free and the current version is PowerDirector 17 which price is $99. In the articles, I going to show you 5 best video editor for your PC or computer. I hope you like the articles and it will be helpful for you to choose the best video editor software. If you like then please share the blog post on your social media. Thanks for visiting our website. Also, know best microwave oven.